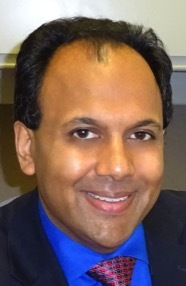 Anil V. Rao earned his BS in mechanical engineering and AB in mathematics with distinction from Cornell University, his MSE in aerospace engineering from the University of Michigan, and his MA and PhD from Princeton University. After earning his PhD, he joined the The Aerospace Corporation in Los Angeles, California. Subsequently, he was a Senior Member of the Technical Staff at The Charles Stark Draper Laboratory in Cambridge, Massachusetts. Concurrent with his employment at Draper, from 2001 to 2006 he was an adjunct faculty in the Department of Aerospace and Mechanical Engineering at Boston University where he taught the core undergraduate dynamics course. Since 2006 he has been a member of the faculty in the Department of Mechanical and Aerospace Engineering at the University of Florida where he is currently an Associate Professor and the director of the Vehicle Dynamics and Optimization Laboratory. His research interests include computational methods for optimal control and trajectory optimization, nonlinear optimization, space flight mechanics, orbital mechanics, guidance, and navigation. In addition, he has co-authored the well-received textbook Dynamics of Particles and Rigid Bodies: A Systematic Approach (Cambridge University Press, 2006). He is active in many professional societies as an Associate Editor of the Journal of the Astronautical Sciences and the Journal of Optimization Theory and Applications, a Member of the American Astronautical Society, and a member of the Society for Industrial and Applied Mathematics. He is the principal developer of the open-source optimal control software GPOPS and is the co-developer of the industrial-strength optimal control software GPOPS-II. He has won numerous teaching and research awards in his career including the Department Teacher of the Year awards at Boston University (2002 and 2006) and the University of Florida (2008), the College of Engineering Outstanding Teacher of the Year Award at Boston University (2004), the Book of the Year Award at Draper Laboratory (2006), the Pramod P. Khargonekar Junior Faculty Award (2012) at the University of Florida, and is an Associate Fellow of the American Institute of Aeronautics and Astronautics. Brittanny Holden was born and raised in Jacksonville, Florida. 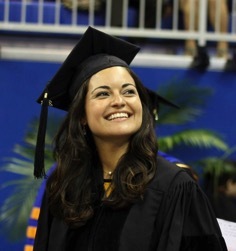 She earned a Bachelor of Science in Aerospace Engineering from the University of Florida in December 2018. Brittanny joined the Vehicle Dynamics and Optimization Laboratory in January 2019 and is currently pursuing a PhD in Aerospace Engineering. Her research is focused on low thrust interplanetary orbital trajectory optimization. Elisha Pager was born and raised in Brooksville, Florida. She earned her bachelor’s degree in Aerospace Engineering from the University of Florida in Spring 2018. Elisha joined the Vehicle Dynamics and Optimization Laboratory in August 2018 and is currently pursuing a PhD in Aerospace Engineering. Her research interests include numerical and computational methods for optimal control along with singular optimal control. Rachel Keil was born and raised in Buffalo, New York. She earned her bachelor's degree in Mechanical and Aerospace Engineering from the University at Buffalo in Spring 2016. Rachel joined the Vehicle Dynamics and Optimization Laboratory in Fall 2016 and is currently pursuing a PhD in Aerospace Engineering. Her research interests include optimal control, stochastic processes, and she is pursuing a PhD in the numerical solution of probabilistically constrained optimal control problems. Miriam (Mitzi) Dennis was born and raised in Niceville, Florida. She earned her bachelor’s degree in mechanical engineering with a minor in electrical engineering from the University of Florida in December 2015. After graduating, she began working for the Air Force Research Laboratory on Eglin Air Force Base as a contractor. Working in the Fuzes branch, she focused on material characterization and high strain rate testing techniques. She joined the Vehicle Dynamics and Optimization Laboratory at the University of Florida in August 2016 and is currently pursuing a PhD in mechanical engineering. Her research interests include numerical methods for optimal control and guidance and control of vehicles. In her spare time, she is an active member of the Society of Women Engineers and is the current graduate liaison for the university's section of SWE. Alex Miller was born and raised in Titusville, Florida. He earned his bachelor's degree in Mechanical Engineering from the University of Florida in Fall 2015. Alex joined the Vehicle Dynamics and Optimization Laboratory in January 2015 and is currently pursuing a PhD in Aerospace Engineering. His research interests include guidance, navigation, and control of aerospace vehicles as well as numerical methods for optimal control. Yunus Agamawi was born in Pittsburgh, PA. At a young age, he moved to Minnesota where he spent most of his life growing up. He earned a Bachelor of Science in Aerospace and Mechanical Engineering at the University of Minnesota – Twin Cities in Spring 2015. He joined the Vehicle Dynamics and Optimization Laboratory in August 2015 and is currently working towards his PhD in aerospace engineering. Joseph Eide is originally from West Virginia. He earned his B.S. in Aerospace Engineering from Virginia Tech in 2006. After graduating with his bachelor's degree, he joined the Orbital Sciences Corporation as a guidance, navigation, and control Systems engineer where he performed mission analysis and on-orbit support for various communications satellites, worked on software development for the COTS program, and provided software support for the LEO science spacecraft FUSE. During his time at Orbital, he also earned his MS in aerospace engineering from the University of Southern California. His research interests include spacecraft orbit and attitude dynamics and guidance software design. Kathryn Graham received her B.S. and M.S. in Mechanical Engineering from the University of Florida in May 2008 and December 2010, respectively. Shortly thereafter, she joined the Vehicle Dynamics and Optimization Laboratory working towards a Ph.D. in Mechanical Engineering. Her research focus is in low-thrust trajectory optimization. She is the recipient of the John V. Breakwell Award for travel to the 2013 American Astronautical Society Astrodynamics Specialist Conference for her paper, "Minimum-Time Low-Earth Orbit to High-Earth Orbit Low-Thrust Trajectory Optimization". Fengjin Liu earned her Bachelor of Science in Mechanical Engineering in July 2011. She earned her PhD in the Fall of 2015 where her research focused on computational methods for optimal control. Begüm Cannataro earned her B.S. in physics engineering from the Istanbul Technical University at 2009, and her M.S. in aerospace engineering from the University of Florida at 2011. She earned her PhD in the Summer of 2015. Her research focused on computational methods for optimal control and sparse linear solvers. 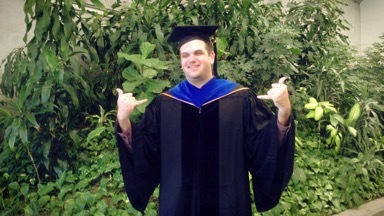 Matthew J. Weinstein earned his BS in mechanical engineering with a minor in electrical engineering from the University of Pittsburgh in 2010. He joined the Vehicle Dynamics and Optimization Laboratory at the University of Florida in 2011, where he received a Graduate School Fellowship Award. 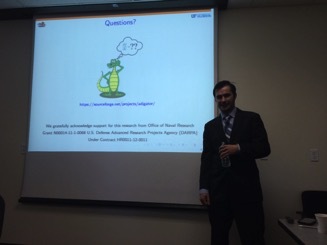 He completed his PhD in Spring 2015 where his dissertation focused on the development of novel methods for algorithmic differentiation and its applications in numerical methods and optimal control. Camila Françolin was born in Rio de Janiero, Brazil. She earned her B.S. 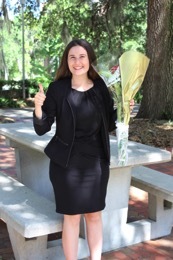 in mechanical and aerospace engineering from the University of Florida in December 2007, her Master of Science in aerospace engineering from the University of Florida in May 2010, and her PhD in aerospace engineering In August 2013. In November she will be joining the Charles Stark Draper Laboratory as a Senior Member of the Technical Staff. Her research interests include numerical solutions to differential equations, optimal control theory, and computational methods for optimal control. Michael Patterson was born in Westminster, Maryland and grew up in the Florida Keys. He graduated Coral Shores High School in Tavernier, Florida. He earned his B.S. in mechanical engineering from Florida International University. He then earned his M.S. in mechanical engineering from the University of Florida. After earning his Ph.D., he spent a year as a Teaching Fellow in the Department of Mechanical and Aerospace Engineering at the University of Florida. In September 2014 he will be joining the Johns Hopkins Applied Physics Laboratory as a Senior Member of the Professional Staff. His research interests are in the areas of trajectory optimization, guidance and control of aerospace vehicles, and numerical methods for optimal control. Divya Garg was born in 1984 in Ghaziabad, Uttar Pradesh, India. She earned her Bachelor of Technology in mechanical engineering in May 2007 from Malaviya National Institute of Technology, Jaipur, India. In December 2008 she earned her Master of Science in mechanical engineering from the University of Florida. In August 2011 she earned PhD in mechanical engineering from the University of Florida. Since earning her PhD, she has been a process technology development engineer at Intel Corporation in Beaverton, Oregon. Christopher Darby was born in 1983 in Gainesville, Florida. He attended the University of Florida for his bachelors, masters, and PhD, earning his PhD in Mechanical Engineering in 2011. 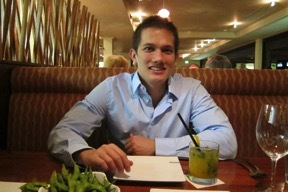 He then moved to Oregon to work for Intel as a Portland Technology Development Module and Integration Yield Engineer. He is currently a lithography engineer designing the next generation manufacturing processes for Intel's far back end semiconducting processes, doing his part to ensure Intel adhere's to the aggressive two-year development cycle as outlined by Moore's Law (the number of transistors per chip should double every 2 years). In Chris's spare time, he enjoys playing in Intel's Rec Basketball League, playing tennis, snowboarding, and generally staying active. Geoffrey Huntington earned a B.S. in aerospace engineering from UCLA in 2001, an SM in aeronautics and astronautics from MIT in 2003, and a PhD in aeronautics and astronautics from MIT in 2007. After earning his PhD, he was a member of the technical staff at the Jet Propulsion Laboratory in Pasadena, CA. Since 2008 he has been a guidance, navigation, and control engineer at Blue Origin, LLC in Kent, WA.